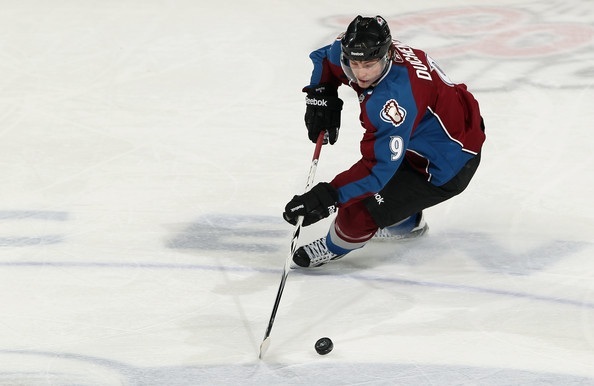 Blackhawks-Avalanche: Is Colorado For Real? The Blackhawks and Avs will battle twice in the next three days, on Thursday night in Denver and Saturday night in Chicago. Coming into the game, the Avs are surprisingly one of the hottest teams in the NHL. There are a lot of striking numbers popping up in Denver early this year. The Avs are 5-1-0 to begin the season, led by Semyon Varlamov’s outstanding play between the pipes. At least on paper, the Avs overpaid for Varlamov when the acquired him from Washington this summer. But he has repaid their faith by starting the year 3-1-0 record, 2.17 goals against average, and .938 save percentage. The Avs are returning home on Thursday night after finishing the best road trip in team history. Colorado won all five games on their recent trip, the first time any Avs team won every game on a trip of at least five games. Colorado’s power play is a stark contrast to the Blackhawks’ struggling unit. They have converted seven of 22 advantages (31.8%), making them the top powerplay unit in the league. On the penalty kill, the Avs have also been dominant; Colorado has allowed only two goals in 21 short-handed situations so far this year. Their 90.5 kill percentage ranks fifth in the NHL. All of those numbers are impressive. But let’s put them in perspective. The Avs five victories, all on the road, have come in Boston, Columbus, Ottawa, Montreal and Toronto. The Jackets, Sens and Habs have combined to win only two of 17 combined contests so far. Boston’s start to their title defense, despite their shootout win in Chicago, has been far from pleasant; they have only won twice in six games. Indeed, the Avs have only played two “good” teams so far this year. They lost to Detroit in their home opener, and defeated the Leafs in overtime on Monday. The Blackhawks come into the game 3-1-1, and are coming off one of their most dominant games since winning the Cup in 2010. While the Hawks have certainly played two games against weak opponents in Winnipeg and Phoenix, their season-opening split against the first place Dallas Stars is impressive. Indeed, the Stars only loss so far this year was in the Hawks’ home opener. Special teams will be intriguing tonight as the Blackhawks bring in one of the more dominant penalty kill units in the league to face a red-hot power play group. Chicago has allowed only one goal in 15 short-handed opportunities this year, and have matched that total with a short-handed goal already this season. The Avs penalty kill has been strong, and will be a test for a struggling Blackhawks unit. Chicago has converted only three of 22 opportunities with a man advantage this season, and will need to be better if given a chance to score in Denver on Thursday night. And that goes back to their days as the Nords with the 5 gaqme road win streak! Anbd regarding their win in Boston, they haven’t lost in Boston since, I believe, 1998. Watched the game tonight, and it was a battle. I think the Avalanche are for real, they were just as fast as the the Hawks tonight, and with attacking PK unit, I think they will be battling all year. 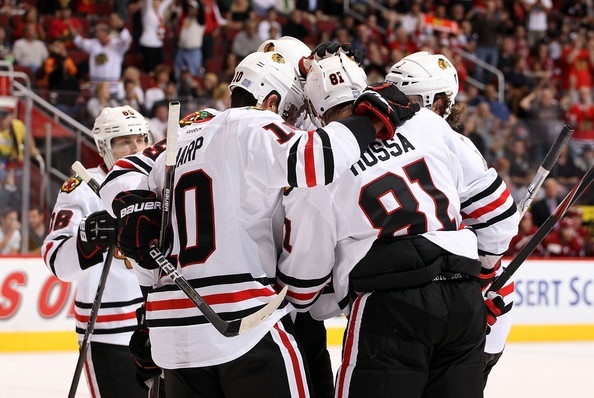 The Blackhawks are starting to get comfortable. I really am liking Keith/Leddy. Both Sharpie and Toews lit the lamp tonight, so that first line is starting to get going, and with the way the 2nd and 3rd have been playing, that’s just scary. Keith (+2 , 2 blks, 26 min), said after the game that the team was starting to get know each other, and that the bus is getting loud. We got something special going here. 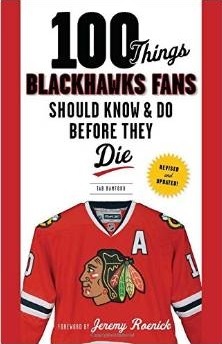 Hawks have a good chance of the bringing the Cup back to Chicago this year.